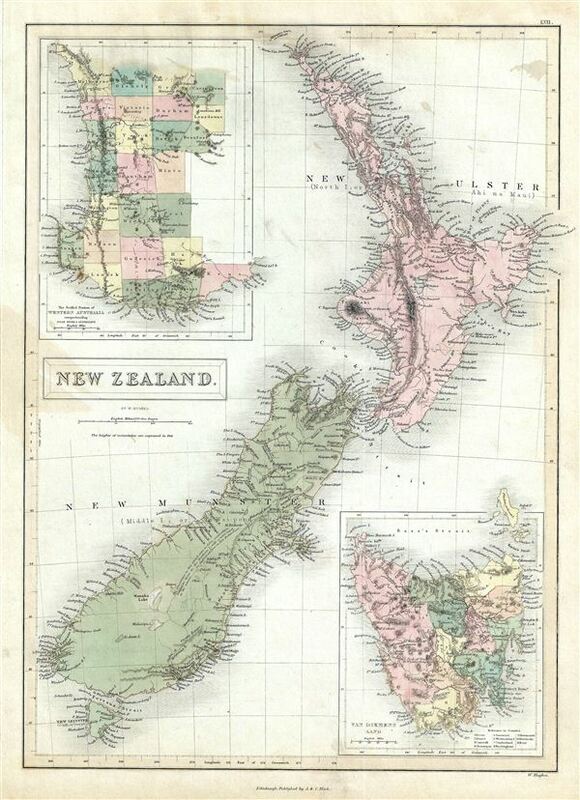 This is a fine example of the 1851 Black Map of New Zealand. Various cities, towns, rivers, mountains, bays and several other topographical details are noted with relief shown by hachures. This map was engraved by William Hughes and issued the 1851 edition of Black's General Atlas of the World. Rumsey 2305.069 (1854 edition). Philips (atlases) 4334.